The Sockers entered today’s game against the Turlock Express with a 9-1 record and four games ahead of the Ontario Fury and Tacoma Stars. Some of their victories haven’t come easy, as they have had to go to overtime three times to win against Rio Grande Valley, Monterrey and, more recently, Ontario. Their offense has been sluggish out of the gate in many games, needing multiple comebacks to pull off thrilling, yet stressful, comebacks. For five straight games, they have started off behind as their opponents have drawn first blood. None of those high-stakes affairs would be had today. San Diego buried their division rival 12-4 with an onslaught of goals and a hat trick from Kraig Chiles. A source of offense came from Taylor Bond, who has struggled to put points on the board this season. The former Tacoma Star put up three in the game, including goals in the first and second quarter. “There are times where it’s my turn to score… my job is to get it to (Chiles and De Oliviera), and I’m happy with it,” said Bond after the game. Luis Ortega and Felipe Gonzales both scored goals in the first quarter, but it was just a precursor to a wild second quarter. Not only would Bond score his second goal, but Chiles would score all three of his goals. After Brandon Escoto scored his first goal of the game, Turlock dropped their second goal of the night on a Matthew Germain strike. This was when Chiles struck. First, he scored thanks to a clean pass from Juan Gonzales. Then, after Bond’s second goal, he sniped a shot that tipped off the fingers off Martin Sanchez and into the net. Chiles assisted Brian Farber, as the former bounced a pass off the wall and the later headed the ball into an open net. 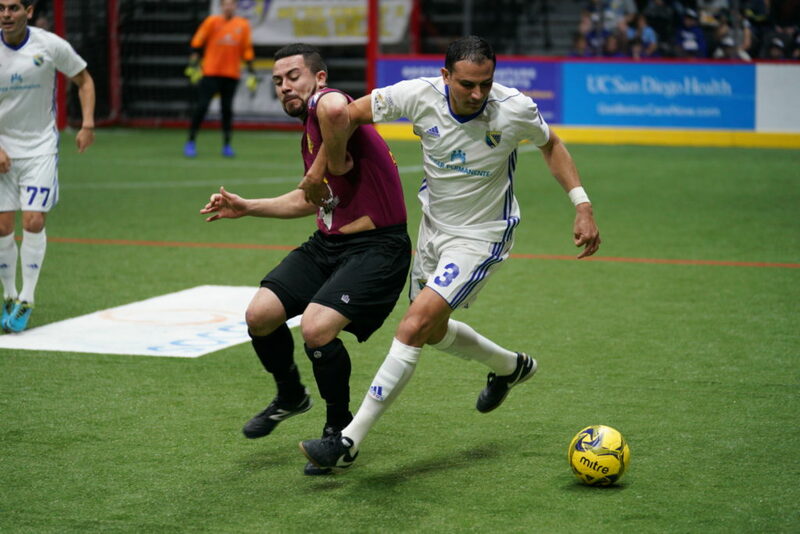 All the Sockers had to do was coast with their defense, and they did so in the third quarter, even killing off a power play after Eddie Velez was tagged for a blue card for tripping. Even a fourth-quarter Turlock goal couldn’t save them, as the Sockers drove in three more goals in the fourth quarter as Farber, Escoto, and Christian Gutierrez blasted shots into the back of the net. When the dust finally settled after the chaos, San Diego brought home an astounding 12-4 victory. It was certainly a day for scoring streaks. Both Escoto and Farber extended their goal streaks to three games, while Chiles, Ortega, and De Oliviera extended their points-scored streak to ten, five, and four games respectively. De Oliviera, while not scoring any goals, posted five assists in the game. 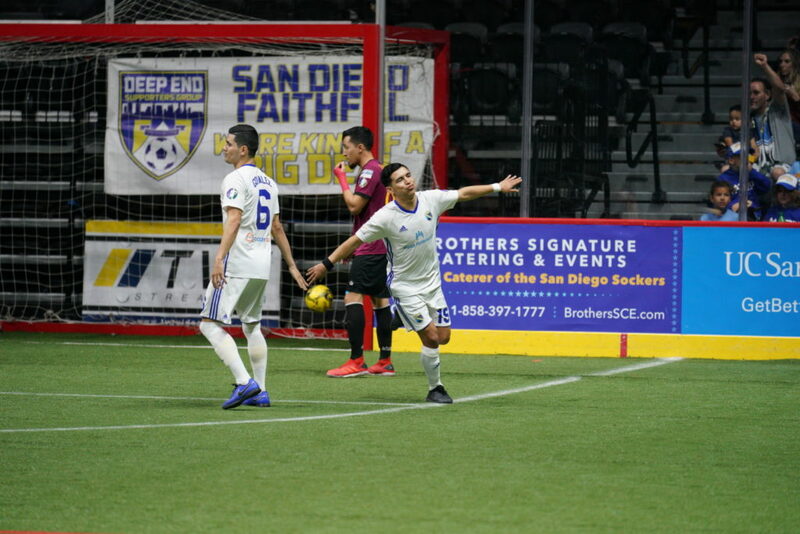 The Sockers will now go on a week-long bye and will get back in action in February when they face the Ontario Fury at Citizens Business Bank Arena. The bye will be good for the team to heal up from their multiple injuries and get some rest, as Hiram Ruiz, Cesar Cerda, and Christian Segura all didn’t play due to injuries. Bond was injured after making his second goal, but it was only a minor hamstring pull and Bond expressed confidence that he would return from the injury.